I recently did a blog post titled “Charitable Gift Annuities: How Much Are You Leaving on the Table?” In response, Stephen Kull of Eastern Illinois University raised some questions about risk management and the Insured Gift Annuity Program offered by Morgan Stanley. I, in turn, raised the issues on GIFT-PL, the listserve of the Partnership for Philanthropic Planning, and on the Yahoo Planned Giving Group listserve. You can find Kull’s comment and the responses we received in the comments section of the post. This past Spring, I wrote a blog post titled “Should Your Legacy Society be Inclusive or Exclusive?” In that post, I criticized the Association of Fundraising Professionals Foundation for considering a measure that would increase the minimum threshold for recognition in the legacy society from $5,000 to $10,000. I argued that even the minimum requirement made the legacy society exclusive when it should really be inclusive. I am happy to report that the AFP Foundation decided not to increase the minimum threshold. Unfortunately, they also decided not to eliminate the $5,000 minimum requirement. I thank Robert N. Croft, CFRE, an AFP Foundation board member, who provided an update to my original post. You can find Croft’s detailed update in the comments section of the post. I thank everyone who shares their comments and insights. I particularly appreciate the individuals who have made these two particular updates possible. Can Direct Mail Secure Impressive Planned Gifts? I’m about to tell you how you might generate a $137,000 average gift in a direct mail campaign. That would be nice, wouldn’t it? And, I’m not talking about getting a lot of $25 donors and one, lucky-to-get, $1 million donation. Instead, I’m going to share with you what the Natural Resources Defense Council did to achieve a real six-figure average gift through direct mail. The NRDC achieved its remarkable result by using direct mail to secure planned gifts, specifically charitable bequest commitments. While your results may differ, the fact is you, too, can reap massive rewards by using direct mail for planned giving. Many nonprofit organizations either think that one cannot use direct mail to solicit planned gifts successfully or that doing so is somehow inappropriate. That’s assuming they give it any thought at all. But, I’m reminded of a great quote from Philip J. Murphy, of Zimmerman Lehman, that I used in my book Donor-Centered Planned Gift Marketing: “Get wild with planned giving: Think of it as fundraising!” Murphy was saying that planned giving is just like annual giving and capital campaigns, it’s fundraising; and, the same rules apply. So, if you can use direct mail for an annual fund or capital campaign appeal, of course you can use it for planned giving. Just like with any other type of campaign, face-to-face is the absolute best way to secure a planned gift. However, what happens when you have far more planned giving prospects than you do people to go and see the prospects? That was exactly the dilemma faced by the NRDC. With a gift planning staff of one director, two officers, and one assistant, the NRDC did not have the staff resources to see the 50,000 planned giving prospects identified among its 1.3 million supporters. So, the best prospects were assigned to staff and the tens of thousands of others were put into the direct mail effort. The first half of the direct mail campaign yielded 87 bequest commitments with 62 donors willing to reveal the amount of their commitments which totaled $8.5 million, for an average of $137,000. In addition, the NRDC secured an additional $330,000 from a challenge grant supporter. You can read about the NRDC campaign in an article I wrote for Advancing Philanthropy, the magazine of the Association of Fundraising Professionals. The article was published this month and, with the very kind permission of AFP, you can download the article free of charge here: “Securing Planned Gifts with Direct Mail”. If you would like to see all of the elements of the NRDC direct mail package, you can find it here. The NRDC certainly treats planned giving like fundraising. They use face-to-face where they can. Then, rather than ignoring the remaining 50,000 prospects, they’ve used direct mail to broadcast the importance of planned gifts to the organization and to solicit those gifts. People who requested more information or who made a commitment were carefully contacted by staff. Donors will continue to be cultivated through the NRDC’s legacy society and, when appropriate, staff will talk with bequest donors about other giving opportunities that might effectively meet the needs of donors while allowing them to further support the cause. As a result, the NRDC has dozens of happy, new planned gift donors. The NRDC will also have millions of dollars more with which to defend our natural resources. Money it otherwise would not have had. If you want more planned gifts for your organization, ask more people. Direct mail can help you do that, tastefully and successfully. The Partnership for Philanthropic Planning has announced that Tanya Howe Johnson, CAE, will step down from her position as president and CEO in April 2012 after over 20 years leading the organization. PPP’s individual and council members include more than 8,000 fundraisers and financial advisors involved in the process of helping donors plan and make major charitable gifts. A search process to find her successor will begin within the coming months. I’ve had the privilege of working with Tanya over the years. I’ve always found her to be an ardent advocate for philanthropic planning and for the people who make it happen. This is something that surely helped convince The Nonprofit Times to twice name her one of the 50 most powerful and influential leaders in America’s nonprofit sector. I thank Tanya for her support of my book and, more so, for her contributions to philanthropic planning. For more information, you can find the official PPP statement here. Charitable Gift Annuities: How Much Are You Leaving on the Table? Does your nonprofit organization already offer donors the opportunity to give through Charitable Gift Annuities? If so, is your organization realizing its full CGA potential or are you leaving a lot of money on the table? If you’re currently not offering CGAs, is your organization’s CGA potential sufficient to justify making this giving instrument available to donors and prospective donors? 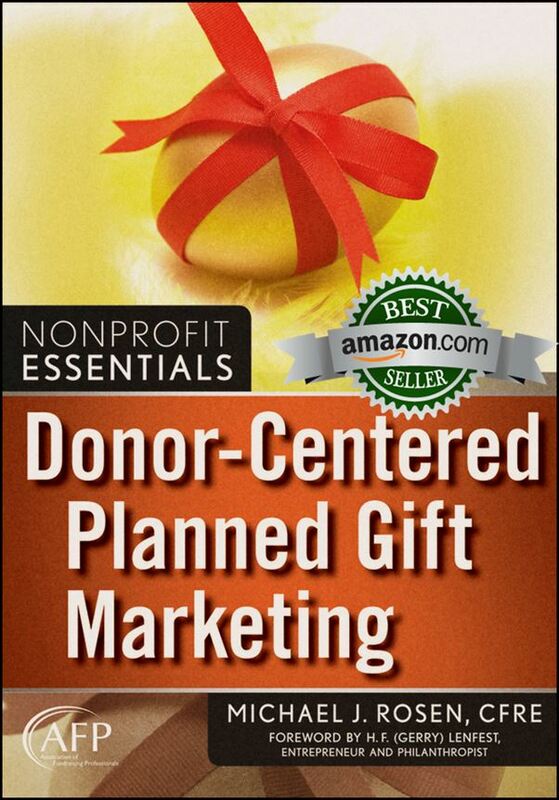 In my book, Donor-Centered Planned Gift Marketing, I wanted to help development professionals answer those questions. So, I developed a “CGA Potential Worksheet” after getting some terrific insight from the legendary Frank Minton, Senior Advisor at PG Calc and former Board Chair of the American Council on Gift Annuities. In a previous post, I shared my “Charitable Bequest Potential Worksheet.” In this post, I’ll share my “CGA Potential Worksheet” with you. First, let me very briefly explain what a CGA is. A CGA is a gift planning instrument that allows older donors to make a current gift to a nonprofit organization and, in return, receive an income for life and a tax deduction on a portion of the gift. While an initiative to secure CGAs will enjoy greater success or less success from time to time depending on a number of variables including the state of the economy and interest rates, we can estimate what an organization’s potential is over time. To truly project how much a CGA initiative can produce, one must understand as many of the variables as possible including the nature of the prospect pool, the wealth of prospects, the age of prospects, the passion of prospects, the history of the organization, past service performance, the purpose of the fundraising effort, the nature of the cause, the community, past philanthropic performance, the marketing effort, and so on. Collectively, this makes it difficult to forecast actual results. However, one can fairly easily gauge an organization’s estimated potential given a mythical, ideal set of circumstances. The following worksheet is meant to provide development professionals with an understanding of the broad potential impact of a CGA initiative for their organizations. While this is not a scientific forecasting tool, it can nevertheless help with forecasting by outlining aspirational targets. This worksheet looks at one of the most common, easy-to-market types of planned gifts. It’s the 10th Anniversary of the 9/11 Tragedy … Who Cares? On September 11, 2001, the United States of America was attacked. In New York City, at the Pentagon, and outside of Shanksville, Pennsylvania, thousands were killed. The events of that day changed not just America but the world. And, unfortunately, the tragedy has even led to serious, negative fallout that may impact the entire nonprofit sector. Now, we mark the 10th anniversary of that dreadful day. But, who really cares? I, for one, care. And, I’m convinced that hundreds of millions of people around the globe care. I visited Ground Zero just weeks after the attack. Dust and broken glass were still everywhere. Tens of thousands of people ringed the entire site. Folks of every race and age from around the world stood in complete silence. I’ve never witnessed such a massive crowd being so thoroughly silent. I’ve never heard New York being so quiet at mid-day. The silence was only broken by an occasional sob or a child’s question. We were there to witness. We were there to mourn. Ten years later, we still mourn. So many of us knew someone who died that day, or we know someone who knew someone. We recognize that families are still dealing with the pain. We know it has changed our country and the world in ways that we still cannot fully comprehend. We know that first-responders, construction workers, and others are still suffering as the cancers and other diseases triggered 10 years ago begin to develop. This sad anniversary is a time for us all to reflect. As I reflect on 9/11 and the intervening 10 years, I do so with the eyes of a development professional. And, I’m sickened by what I see. The Associated Press did an investigative report published on August 25, 2011. The AP findings are disturbing. While most of the 325 charities reviewed “followed the rules, accounted fully for their expenditures and closed after fulfilling identified goals,” the investigation found many did not file the necessary reports, performed unethically, or simply operated for the benefit of their founders. Americans donated over $1.5 billion to these charities to help the families of victims and to establish memorials. This is in addition to the billions of dollars spent by federal and state governments as well as established, reputable charities like the American Red Cross. I encourage you to read the full AP report for more details. You Don’t Really Need Another App … or Do You? So, you’re one of the cool kids. You own a smartphone such as an Android device or Apple iPhone. You’re in good company. A study from the Pew Internet and American Life Project (May 2011) reveals that 42 percent of cell phone users now own a smartphone. Incidentally, 83 percent of American adults now own some type of cell phone. Perhaps you own one of the 28.73 million iPads that have been sold worldwide. Or, maybe you own another tablet device. If you own a smartphone or tablet computer, you’re no doubt familiar with Apps, those little pieces of software that allow us to check email, pick a restaurant, search the Internet, or kill pigs by tossing Angry Birds at them, etc. There are over 425,000 Apps for the iPhone and over 480,000 Apps for Android phones. I’m not even counting the Apps for tablet devices. So, do we really need another App? Well, I happen to believe there’s room for at least one more App. 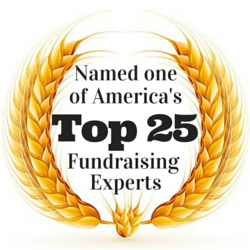 This one is just for those working for or volunteering with nonprofit organizations. The App is the Nonprofit Manager’s FAQ from the good people at Jossey-Bass/Wiley publishing. While an App like Angry Birds might help you pass the time, the Nonprofit Manager’s FAQ will help you pass your time more productively by answering your questions, helping you improve results, allowing you to preview outstanding books for nonprofits, and making buying those books from your favorite online retailer as easy as possible.